This time of year always reminds me of Charlie Brown and his mad crush on the little red-haired girl. When February 15 rolls around, he mopes by the mailbox, lamenting, that he’d give anything if she had sent him a valentine. To love and be loved is one of our most basic needs. Without it, we may survive but we won’t thrive. Unfortunately, the hunt for affection often goes hand in hand with hurt and disappointment. Even our soul mate will fail us at one time or another. After all, they’re only human. Yet perfect love does exist. God’s love accepts us just as we are and knows us better than we know ourselves – because He created us. God’s love wants His very best for us and longs to grant us our heart’s deepest dreams and desires – because He instilled them in us. God’s love sees only the good in us, forgiving all our sins and failures. In fact, He sacrificed His Son, Jesus, so that our slate could be wiped clean. God’s love is free and comes with no strings attached. All we have to do is accept it. Now imagine if Charlie Brown had looked in that mailbox, found a huge heart-shaped envelope with his name on it and the return address of his sweetheart… and never even broke the seal! This is how it is for some people with God’s love. They fail to see the many ways He’s reached out to them in the beauty of nature, the answers to unspoken prayers, the blessings they’ve never taken the time to count. They pass it by or shove it aside or are leery of it, thinking it’s some sort of trick. And so, with the weight of the world on their shoulders, they continue to struggle all alone when they don’t have to. They leave His gift on the table and their lives unfulfilled. Like Charlie Brown, wishing the little red-haired girl would come sit with him, God is there, longing for us to let Him love and guide us. Please help people to realize that in this crazy, stressful world You’re only a breath away, ready to fill them with Your peace and make them feel loved like they’ve never felt before. Help me, too, to be a truthful representative of Your love to others, knowing that each and every one of them was uniquely created by You. Only a few short weeks ago, I was diagnosed with endometrial cancer. Since then I have had surgery and await the results of further testing to see if I’m in the clear. Knowing that my family and friends are praying for me has been a huge comfort. And every day, the Lord continually reminds me through His word that He is with me each step of the way. Which brings to mind a passage of scripture that God allowed me to see in a different light. 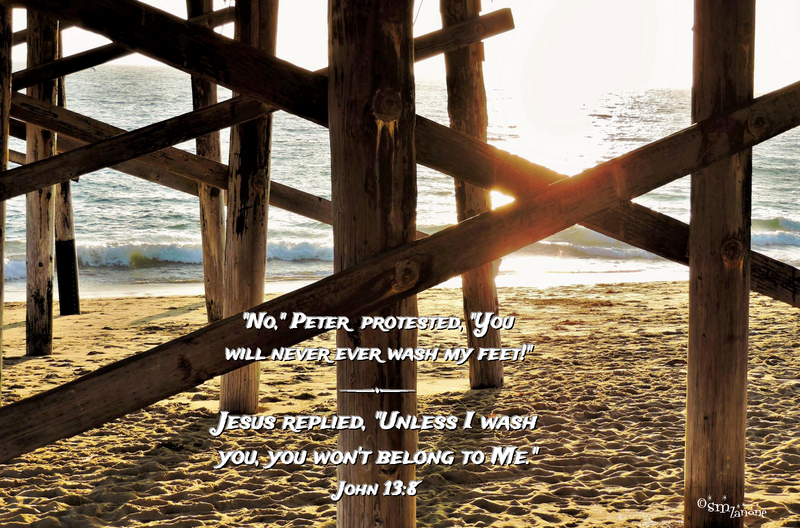 In John 13:8, at the Last Supper, Peter protests against Christ washing his feet. Many believe He is talking about cleansing Peter’s sins by His death on the cross. For some of us, it can be a struggle to admit we’re in need of help and prayers. But if I had not shared what was going on in my life, my loved ones would have probably (rightfully) questioned the depth of our relationship. After all, the people who care about me want to be there for me, as I do for them. Sadly, that independent streak can bleed over into our relationship with God. 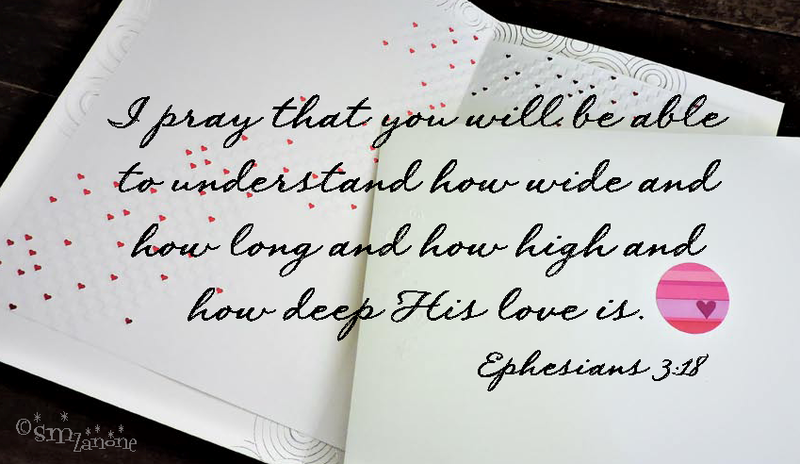 He wants us to come to Him in our time of need, however huge or minuscule that need is. He’s not a fair-weather Savior by any means. We’re never bothering Him when we seek Him. Consequently, if we don’t open ourselves up and let Him restore us, we’re still carrying our burdens and trying to handle them on our own. He’s not truly the Father He wants to be in our lives. We’re not intimate friends. We’re barely acquaintances. You are the God of the universe, yet You care about every aspect of my life. And You sent Your Son to die for my hurts and needs, as well as my sins. Help me to be quick to run to You and to trust that You have my best interests in mind. And show me how to pass Your love and care on to others who may be hurting. A time for gathering with family and celebrating with lots of food and goodies. And therein lies my downfall. Because I know by experience that too much of the sugary stuff results in a very unhappy tummy. And I love the sugary stuff. In Revelation 10:8-10, John is told to eat a small scroll, the taste of which goes from sweet to bitter as he digests it. The scroll is the Word which is edifying to the believer, yet painful in its judgment of those who don’t belong to Him. But as one who does belong to Him, I too can get lost in the tasty parts of scripture and conveniently fail to heed the seemingly unsavory precepts that are harder to swallow. As a consequence, my life may seem satisfying for a time, but eventually things will begin to sour. 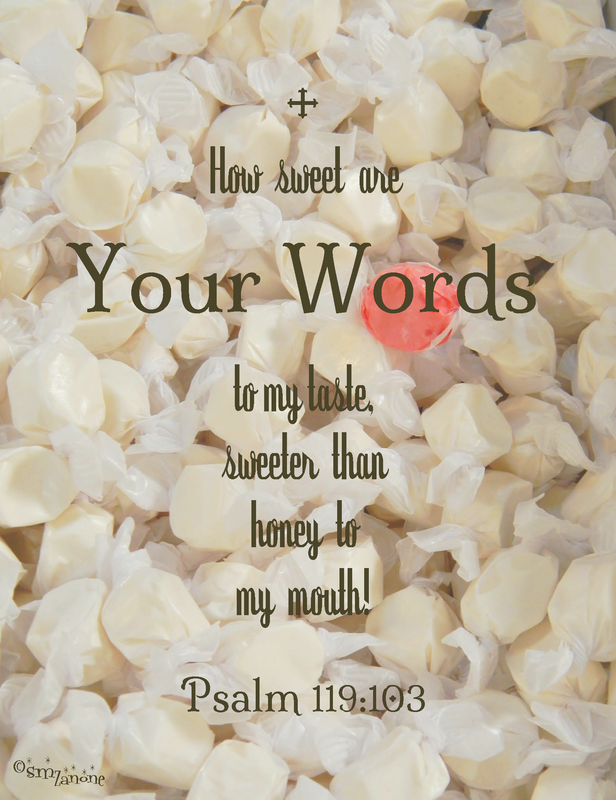 I need to follow God’s word in its entirety and quit sticking out my tongue and pushing away from the table when He calls me to something deeper and more nutritious. Because just like an earthly father would never dream of withholding healthy food from his children, our heavenly Father knows that some things that may seem “yucky” to us are for our own good. I know that snacking on the world’s empty philosophies leaves me unfulfilled and wanting. Help me to be faithful in my daily quiet time with You, for all of Your word is delightful and the more I partake, the closer I grow to You. And help me not just to hear, but to obey. Like me, I’m sure you’ve heard and read the story of the Good Samaritan so many times since your childhood Sunday school days that you know it by heart. Today, however, I saw it with fresh eyes. Jesus answers him by way of the parable of a Jewish man who is attacked by robbers and left beaten on the side of the road, his plight ignored first by a priest and then a temple worker. 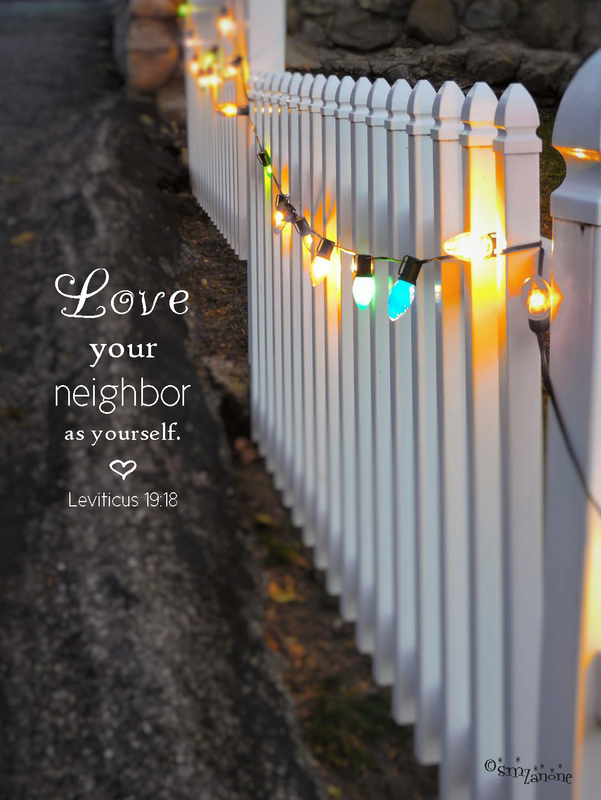 Yet a Samaritan (who, by the social norms of that day would want nothing to do with a Jew – and vice versa), goes out of his way to make sure he is well taken care of. The answer is obvious, even to the lawyer. Help me to be more loving and caring, seeing others through Your eyes regardless of the tags that society would put on them or the prejudices I might harbor. Help me to be sensitive to Your whisper and to obey, putting my faith into action.